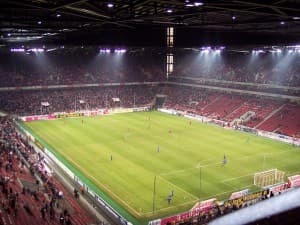 The most competitive second-tier in Europe (and yes, including England) includes a classic derby match at the Rhein-Energie Stadion with 55,000 expected for the game between Cologne and Fortuna Dusseldorf. 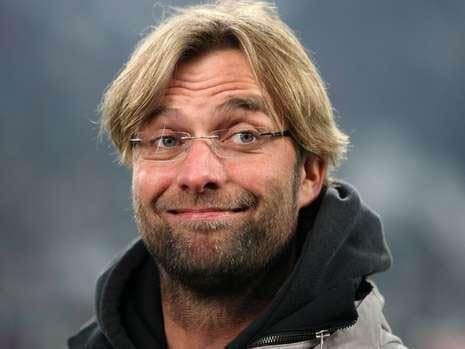 But moreover, for the likes of Union Berlin, 1860 and Kaiserslautern, there is the chance to kick-off their season after dropping points on the opening weekend of the campaign. The game of the week looks to be baptism of fire for both Fortuna and Cologne in the Rhinelander derby. Already, tensions have been raised, as Fortuna fans stormed one of the famous cathedrals in their rival city, plus launching a campaign to steal the “point” from the German name: Wir klauen Koln die Punkte. Last week, Stefan Reisinger netted from the spot for Fortuna in a 1-0 win over Energie Cottbus at home, whilst Cologne only managed a 1-1 draw in Dresden. Home advantage will count for something this early in the season, with 13/10 the best price for a home victory for Cologne via BetVictor, Coral, 188Bet and 23/17 at Betfair. An away win certainly isn’t out of the picture because both teams are genuinely contenders for the championship. It’s a strength of wills – and F95 are 23/10 is best price via 888Sport, Unibet and Betway. A draw is also the same price across a range of bookmakers for the Sunday afternoon clash. Against Dynamo Dresden, the Billy Goats squandered an incredible number of chances with 23 shots on goal and 10 of them coming inside the box. That shows the strength of Cologne’s attack and it seems to be only a matter of time before that clicks in 2.Bundesliga. Fortuna Dusseldorf hit 19 shots on goal against Cottbus, with only eight inside the penalty area. A decent betting option for this encounter could be both teams to find the back of the net in the 90 minutes, with best prices at 5/6 via BetVictor and Stan James. For over 3.5 goals, 11/4 is available at Stan James and 3/1 at BetVictor and Coral. If you fancy going one higher, 7/1 is best price at Bet365 and Coral. For an outside option, taking one of the teams to come from behind would get you strong prices. Given Cologne’s lead slipping in Dresden, for the Billy Goats to be winning HT and the game to end up in a draw is 16/1 best-price at BetVictor and for Fortuna to turn the game around in the second half, the best odd is 40/1 at BetVictor, Bwin and Sportingbet. Swapping it around, Cologne to win in at FT with Fortuna leading at HT is 33/1 at Sportingbet, also. Friday has three leagues games: Arminia Bielefeld v Union Berlin, VfR Aalen v Greuther Furth and Kaiserslautern v Ingolstadt. Union Berlin lost out against Bochum on Matchday 1, but should be favourites for the game against last season’s promotion side Bielefeld, with best-price at 31/20 at BetVictor. Bavarian club Furth look a strong outfit after a convincing performance last week, priced at just 11/10 on BetVictor for the win. VfR Aalen will likely be bottom-half challengers this season and Furth to win by three goals is 13/1 via BetVictor and 5/1 for a two-goal margin on Bet365 and Ladbrokes. The late Friday match is at the Betzenberg with Kaiserslautern clear favourites to get their season started against Ingolstadt, priced 1/2 at most bookmakers. For all three favourites to win on Friday, you could pick up 7/1 using the best-prices aforementioned. You can imagine both Kaiserslautern and Union will look to bounce back from last week’s frustrating start. After last week’s win, Erzgebirge Aue should be favourites to win against Sandhausen with 13/20 at BetVictor and 11/17 at Unibet. The same can be said for St Pauli, who relied on a late goal to beat 1860, who are at Karlsruhe and priced 12/5 at BetVictor, which looks to be one of the best prices of the weekend. Across the weekend, an accumulator of Union Berlin, Bochum, St Pauli, Aue and Furth, all of which to win, would get you around 60/1 best-prices. For a final outside option, FSV Frankfurt should be a team in the top-six this season and they visit the Allianz Arena on Sunday. Although 4/5 is the best-price for 1860 to pick up all three points, FSV are 21/5 for an away victory in Munich, which could be found on BetVictor. If you’re slightly more ambitious, FSV Frankfurt HT/FT is an excellent price at 9/1 on Stan James. Come back next week for more 2.Bundesliga betting odds and tips and follow me on Twitter @rossdunbar93 for more German football news and insights.